September, 2017 Dear Neighbor: The number of homes for sale in Palos Verdes has been gradually climbing. This may be because some homeowners want to take advantage of the all-time high current prices for them, tho I’m sure those high prices also eliminate some of the buyers (the market has slowed somewhat). For perspective, however, bear in mind that “inventory” levels have been near all-time lows in the past year or so, so they’re only up compared to that. It remains...Continue Reading! This is leased. Just reduced to $3400/month, and lovely 3 bedroom 2 bath one level 1600 square foot single family residence that is walking distance from Peninsula High, Peninsula Center, and Silver Spur Elementary school. This is below market, so don't wait!! Continue Reading! Dear Neighbor: The real estate market continues with a general shortage of houses for sale, although the number of homes on the market has been growing for the last few months. As is always the case, the homes that are priced right sell quickly. The reasons those that don’t, are usually related to asking price. We can talk more about this when we meet. There are a lot of things they don’t teach you in Real Estate school. Yes, you do learn...Continue Reading! 2373 W 233rd St is a lovely 4 bedroom 2 bath one level home of about 2250 square feet, move-in ready. New flooring, paint, fixtures, windows, doors. Just a block east of Crenshaw for easy commute. Priced to sell at $825,000. This sold in 3 days. Call me for the latest -- 310 613-1076. 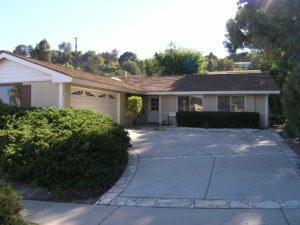 This property has now closed escrow at full price. [ngg_images source="galleries" container_ids="72" display_type="photocrati-nextgen_basic_thumbnails" override_thumbnail_settings="0" thumbnail_width="300" thumbnail_height="225" thumbnail_crop="1" images_per_page="20" number_of_columns="0" ajax_pagination="0" show_all_in_lightbox="0" use_imagebrowser_effect="0" show_slideshow_link="1" slideshow_link_text="[Show as slideshow]" order_by="sortorder"...Continue Reading!